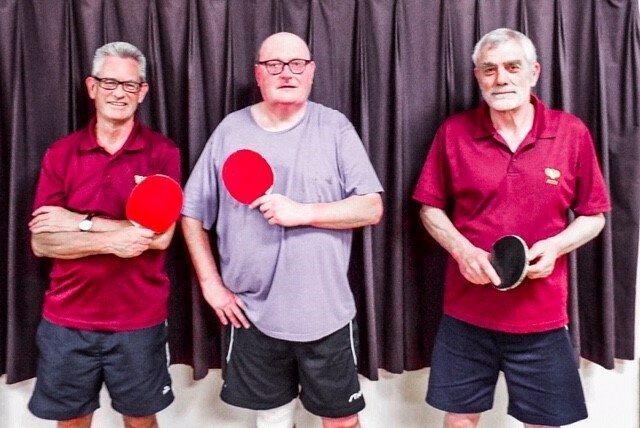 Writtle A completed their Season in style in division 1A of the Chelmsford & District Table Tennis League by scoring a superb 8-2 win over second placed Chelmsford A. Make no mistake about it this was a top performance against a Chelmsford side containing both Wal Bada and Edward Ogbebor. Lee McHugh and Duncan Taylor were both undefeated and highlights included a 13-11, 15-17 ,11-13, 11-6, 11-9 win for Duncan Taylor over Wal Bada and an equally enthralling 8-11, 16-14, 11-8, 10-12, 15-13 victory for Lee McHugh against Wal Bada. Lee McHugh also excelled by defeating Edward Ogbebor 11-6, 13-11, 14-16, 13-11. Champions Maldon A could only field two players against Danbury A but with Trevor Lloyd and John Poysden both hitting top form they won 7-3. John Poysden impressed greatly downing the challenge of Daniel Young 11-8, 11-9, 8-11, 11-5. The records of the Maldon players for the second half of the Season are all exceptional with Alex Abbott (91 %), Trevor Lloyd (88 %) and John Poysden (75 %) all playing substantial roles in their runaway Championship win. Fifth and sixth placed sides Rawreth and OCs A drew 5-5. Paul Lucas won his three singles for the Old Chelmsfordians side which included a last gasp 8-11, 11-7, 10-12, 11-4, 11-9 win against Kim Shead. Lucas has a fine record of 80 % for the second half of the Season. Chelmsford B have claimed second place in division 1B. And they achieved this with a superb 7-3 win over Liberal. 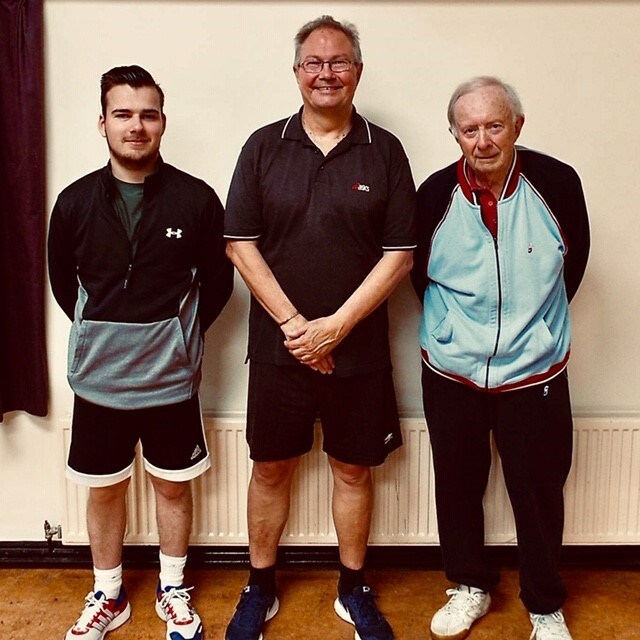 Both teams were at full strength and it was 2019 Clacton Mens Singles Champion James Denyer who led the way. Denyer defeated Paul Davison 11-9, 11-3, 11-4; Steve Pennell 11-6, 12-10, 11-8 and Adam Buxton 5-11, 11-6, 9-11, 11-1, 11-4.Expect Denyer to be an integral part of the Chelmsford A squad next year. Robert Shrimpton scored an excellent 6-11, 11-7, 11-7, 11-6 win over Paul Davison. Writtle B have finished fifth. They beat Hatfield Peverel A 8-2. Paul Sturton was undefeated for Writtle whilst Alastair Piper scored a “gem of a win” for Hatfield Peverel. He beat Gary Cattermole 11-6, 11-4, 14-12. Champions Galleywood A were only able to field two players against Danbury B but they did enough to draw 5-5. Ian Whiteside defeated James Hicks 9-11, 12-14, 11-6 12-10, 12-10 in the best game of the night. Steve Kerns struggled past Gus Heath 8-11, 11-5, 11-6 11-9 to complete his hat-trick. Hatfield Peverel D scored their fourth win of the Season in division five. Richard Drozd led the way as they defeated Hatfield Peverel E 8-2. Drozd had to pull out all the stops to beat Davina Brazier 4-11, 8-11, 12-10, 11-6, 13-11 whilst Andy Simmonds was similarly hard pushed to get the better of John Kuhl 11-5, 8-11, 8-11, 11-6, 11-8. Danbury are the 2019 Chelmsford Junior Knock Out Cup Champions. With Daniel Young in the Danbury side the Chelmsford team were always going to be up against it and Danbury duly took a 2-0 lead although they were certainly tested. Daniel Young and Ewan Hynd beat James Donald and Vinnie Kamma 11-9, 19-17, 11-9 in the opening Doubles and Luca Bailey defeated Harry Buckle 11-8, 11-8, 6-11, 5-11, 13-11. Danbury had taken control and although Vinnie Kamma beat Ewan Hynd 11-6, 11-8, 9-11, 11-8 Danbury ran out 5-1 winners.